While you are the created Child of Father and Mother God, you are not separate from them. You have the Trinity within your consciousness. You are a facet of God and are never apart from God. From the Tao emerged the Yin and Yang aspects of God that birthed the entire vibrational realm. And the Child consciousness is born of the insemination of Divine Idea into the primordial womb of the Mother. Everything in creation was once Divine Idea from the Father, which was then inseminated within the primordial soup or waters of the Womb of the Mother. The Divine Idea of the Child that you are is to evolve beings with the power to love in freedom, and thus to become themselves creators. And the divine support for this evolutionary potential to unfold is ever present. But the Child must know this divine support to be abiding in order for it to be so, because the Child is what it knows itself to be. From the Great Void of the Tao, there emerges two important qualities of the Father and the Mother that are beacons of consciousness revealing the way Home. These are: Infinity and Eternity. Infinity is not a quantity but a quality of potential beyond space; it is a quality of the realm of the Father. When you operate from a sense of limitation, you are outside of infinity and not tapping into the power of the Father. Ideas of the Father are all infinite in potential…they are packets of light that will expand according to the consciousness that beholds them, much like Hermione’s handbag in Harry Potter that holds all that is ever needed. You access these thoughts of infinite potential by merging in consciousness with the Mind of the Father—holding your vision within Its Light and seeking divine solution…moving all linear and limiting thinking out of the way and sinking into the deeper regions of your consciousness. And these packets of light won’t look like much to the uninitiated; but they will hold infinite treasures to the consciousness that can go deeply within and ‘think like the Father’. Similarly, eternity is not a quantity of time but a quality of being outside of it that relates to the realm of the Mother. Eternity is accessed in feeling as undercurrent that cradles or ensouls consciousness in deep abiding peace, wonderment, sense of the sacred, and certainty in the powers of love, goodness and beauty. When you ride the surface waves of emotionality, you are out of sync with the Mother and you dim Her power in this realm. In cultivating a feeling state of holiness and certainty in divine qualities and powers, you invite the Presence of the Mother who comes as an abiding sense of nurturance, sustenance, comfort, and unbounded support. When we strive for thought that expands creation and feeling that endures through all time, we bring infinity as potential and eternity as quality to our creations—and we embody the creative powerful love that we may be. Only love has the quality of both infinity and eternity, and in that marriage there emerges immortality in consciousness. We become immortal by our love, and our creations from the love that we are expand the creational realm as well as consciousness within it for eternity. And thusly does the Child give back to its Father and Mother, and secures its abode in the Heavenly realms of light. And as the Child seeks infinity in ideas, ideals, and visioning, and operates from the realization of the sacred in all things, he or she acts outside of space and time, and is capable of elevating all consciousness within the realm of its dwelling place. In transcending time and space, we manifest true consciousness of Oneness in full conscious awareness, and pave the way for others to do the same. And only as we reach for these qualities can we have this level of impact in the world, where we create the pathways to ascension for all. 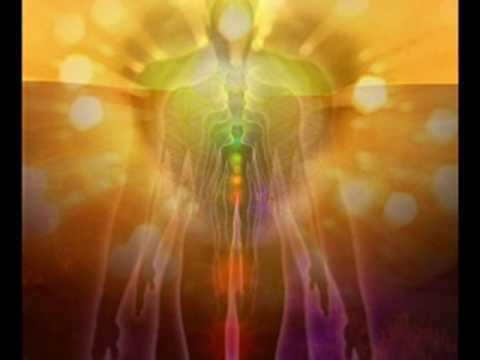 The upcoming Remote Healing Session Program in August 2012 will teach you in very specific ways, how to operate in infinity in thought and eternity in feeling, so that you may impact on potentials unfolding in this realm from the deeper consciousness of the Immortal Child. While this may sound like a lofty goal, it is critical that many more people strive for this, as the pathway to ascension must be paved from the level of incarnated souls on the earth. The tremendous spiritual help can only reach us if we choose to have their support. And that choice is not made passively as an abstract mental idea, but must be translated into very concrete steps that mobilize our whole being to inner revolution. Those steps are made in shifting thought and feeling in everyday life. Below are trigger affirmations to help you align with the infinite and eternal aspects of divinity. I access Father God within me—Source of infinite creative Ideas and Higher Consciousness— as I embrace only thoughts that hold infinite potential. As I know myself to be of infinite potential, I become the Divine Child. By the power of my will, I quash all limiting thoughts about myself here and now and henceforth. I access Mother God within me—Source of the sacred substance of eternal creations—as I embrace only feelings that hold eternal qualities of holiness, beauty, goodness, and love. I now dwell in the abiding peace and certainty of the Mother, deeply ensouled, nurtured and supported to wield ever greater creational resources in this realm. As I seek in feeling to dwell in the eternal, I am certain of the Mother’s eternal support and care for her Divine Child. Old thoughts of limitation, scarcity, and separation have kept me in the false self, and I now choose to anchor my consciousness exclusively in the true god-self within. I am a being of infinite love and power of impact, able to unleash new potentials in the world and create for eternity. I seek to embody divine Ideal and I hold the loftiest visions for creation, recognizing that my power as love is without bounds.